This year’s Wildcat Prowl will be a fun, school-wide walking event sponsored by the Kenton Elementary School PTO! This event will be held on Friday, May 18th at Robinson Field (Kenton Middle School). We encourage your student(s) to dress up to support their grade’s spirit theme to help win this year’s Roar Award. The Kenton Elementary School PTO will be giving away many fun prizes this year with ALL Kenton Elementary School students entered for a chance to win! We have secured prizes and supplies from many local businesses and through generous donations this school year to help make this a fun year-end event for our staff and students. The teachers in the grade that wins the Roar Award will also each win a prize to be used in their classrooms! 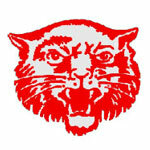 The Kenton Elementary School PTO will sponsor a FREE sack lunch to every student on the day of the Wildcat Prowl. Many thanks for your support of the students and staff at Kenton Elementary School! We are looking forward to another wonderful day of walking at this year’s Wildcat Prowl. If you have any additional questions about the Wildcat Prowl, please contact the Kenton Elementary School PTO at kentonelementarypto@gmail.com.